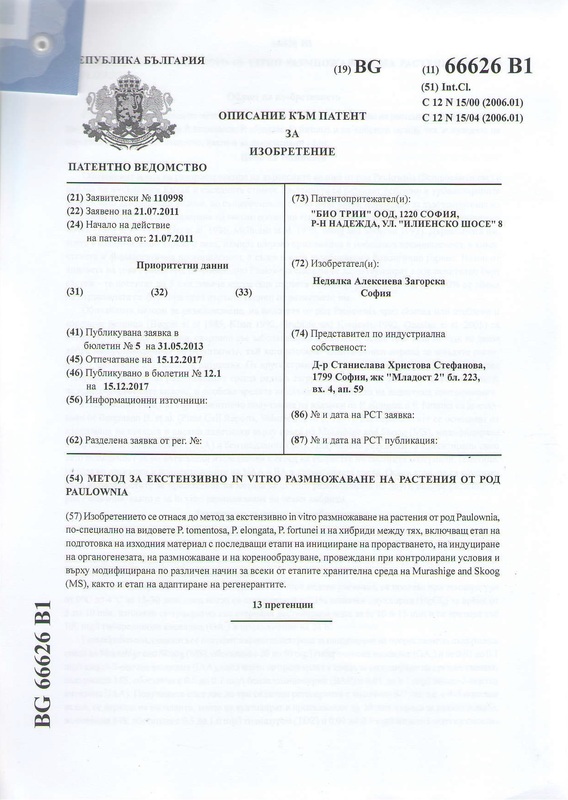 The company received its patent for the invention of a method for intensive in vitro propagation of Paulownia species. 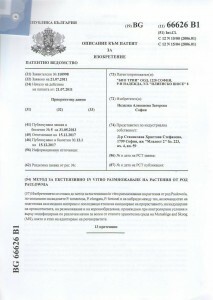 For the beginning of the active patent protection, the date 21.07.2011 was approved. Recognizing the uniqueness of Paulovnia’s propagation technology used by Bio tree, we establish our role as a leader in the production of Paulovnia in Eastern Europe. 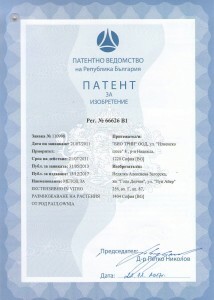 The resulting patent is another proof of our commitment from the stage of selection through production of elite seedlings until the marketing of our Paulownia hybrids as a renewable source for the production of high quality timber.